Sail Area 132 square feet. 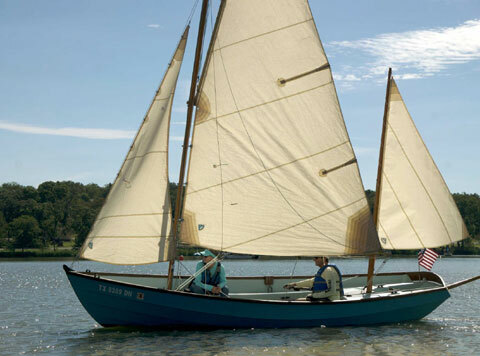 Classic Lugger, lightly used for a boat build in 1969. Stored indoors for 34 years, after which it changed hands only a few times. I’m the 5th owner. Sliding Gunter mainsail rig, roller furling jib, and mizzen. 2013 Beige Oceanus Main sail cut to Mk2 specifications, roller furling jib (2019) and mizzen (2018) new. Custom made gaff to carry the head of the larger mainsail. 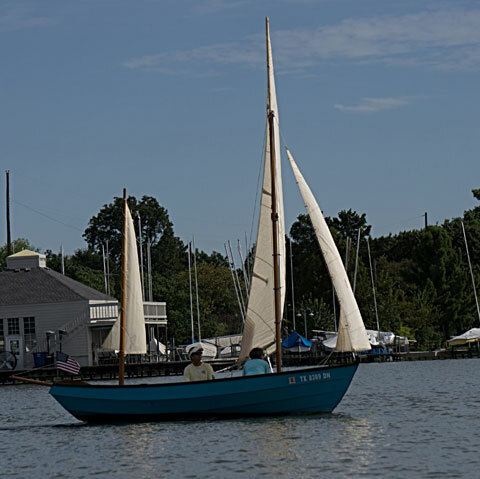 I have the Original tanbark main and mizzen sail, and original gaff. 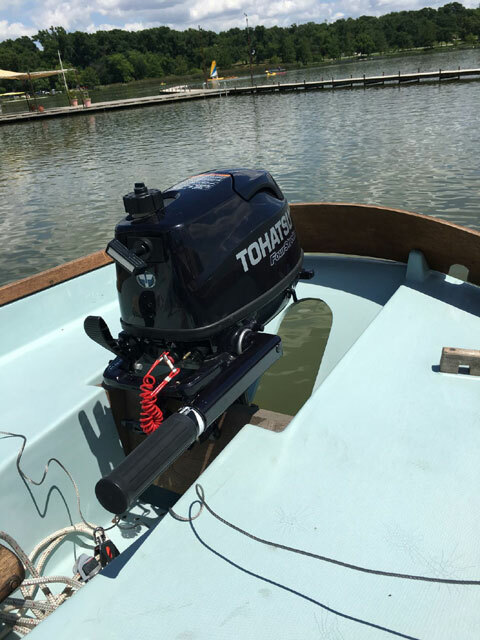 2014 6hp Tohatsu 4 stroke outboard. Runs great, recent engine and gear oil change. Original Whale Bilge pump in perfect working condition. Teak rails, transom board, mast thwart, and centerboard cap. Spruce main mast, varnished in January 2019. Spruce mizzen mast and bumkin in excellent condition. Original pine floor boards in great shape. Foam Flotation under seats, storage under seats and in aft lockers. All running and standing rigging in excellent condition. GRP hull in excellent shape, gelcoat on seats does show a bit of minor cracking up forward. Steel centerboard and rudder in sound, solid shape. Trailex trailer has custom centering arms to aid in launch/recovery. I put a new winch on it in 2016. New tires and bearing job February 2019. 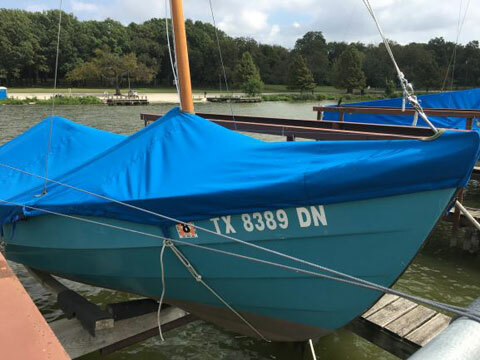 Custom boat cover made in 2016. 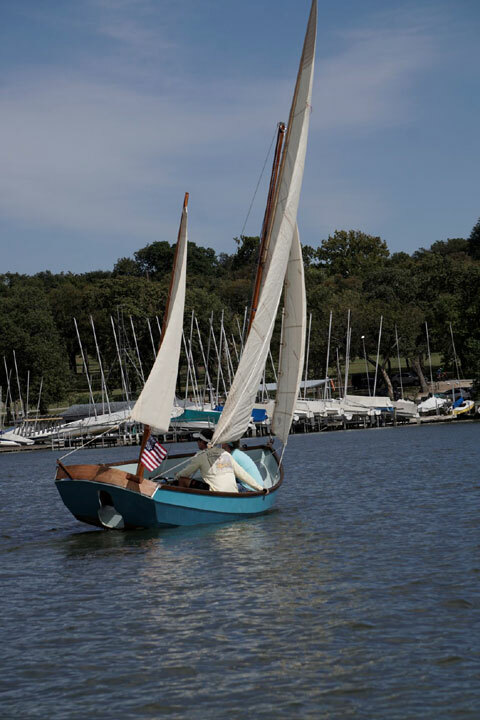 Incredibly versatile shoal-draft boat that was made to handle heavy seas. The Lugger has been sailed across the oceans, and enjoyed by generations. They are still in production today, a testament to the timeless appeal of this classic family boat.